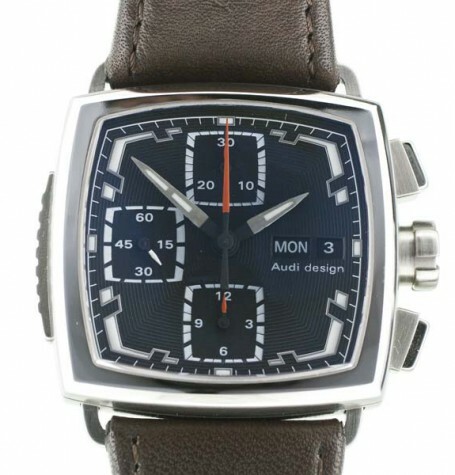 Rare Audi Square Chronograph made by Sinn with tegimented steel case. This Audi Chronograph was designed built by the famed German watch manufacturer, Sinn. Audi Design has gained a following similar to its corporate cousin’s Porsche Design and has developed many products over the years. 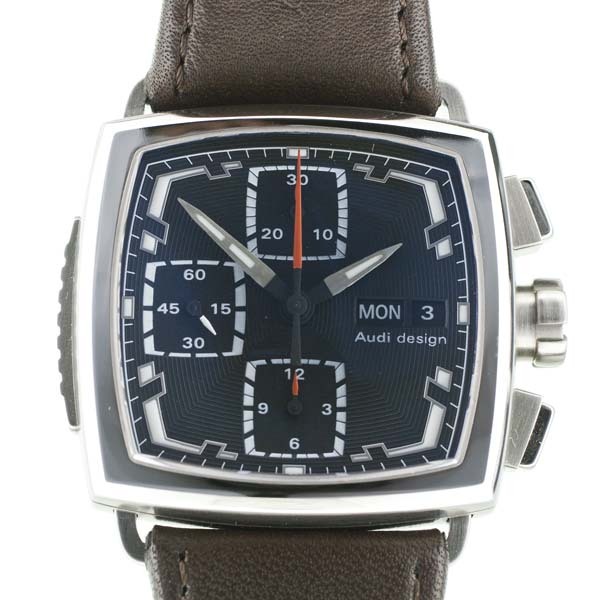 This Audi Chronograph was originally introduced in 2004 and sold in 2005 and 2006. 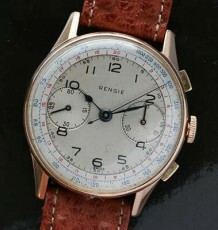 This particular watch was never worn and is new old stock. The watch is similar to the Sinn 901 Square Chronograph but features a more subtle and elegant dial arrangement. The case is made using Sinn’s ground-breaking tegimented steel providing a more scratch-resistant finish. The sapphire crystal also reveals an anti glare coating for better legibility. 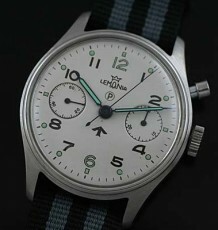 The watch is fitted with a Valjoux 7750 automatic winding chronograph movement. 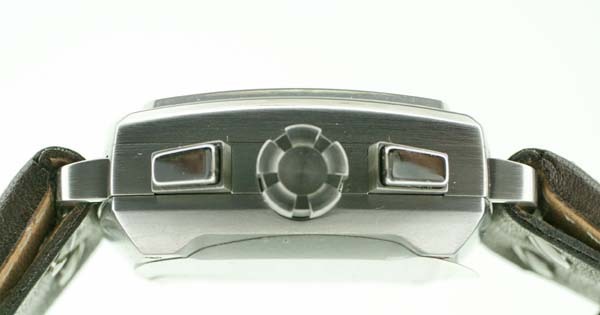 The case was designed to incorporate adjustable extending lugs where the thick leather strap joins on. The lever on the left side of the case releases the lugs to full extension and teh wearer can push them back in until they reach the level of maximum comfort. 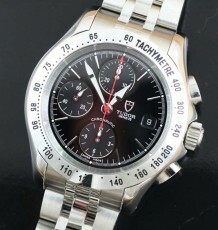 The watch is sold with the original Audi Chronograph box but no papers. 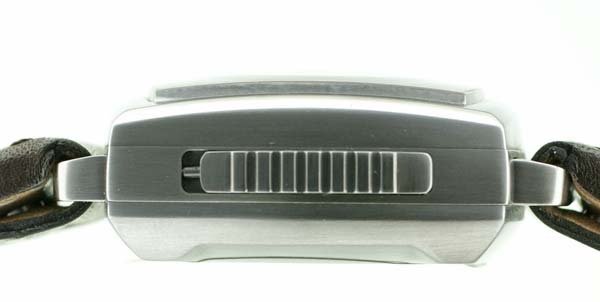 The steel case measure 38 mm wide by 36 mm long and a whopping 16 mm thick. 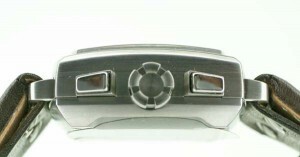 This watch retailed for 3650 Euros when new in 2005. 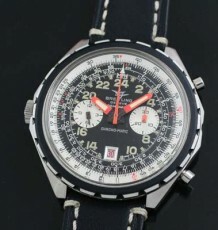 A Sinn 901 chronograph can be found for about $3700. This much rarer and better looking model is a bargain at this price.